Bulb vases were generally produced in the countries where the forcing of hyacinths was popular. 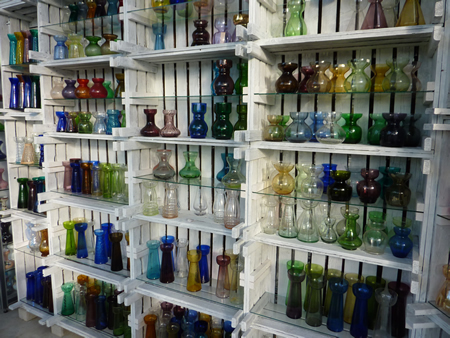 In the 18th and 19th centuries, beautiful free-blown vases were produced. Later they were often blown in moulds or manufactured on a greater industrial scale by mechanically blowing the vases. Each country made specific models, often very typical for the country. Probably the most abundant vases originate from France: vases on foot, often beautifully decorated in different styles and many mechanically blown Art Deco vases. In Great Britain the forcing of hyacinths was very popular as well, and many wonderful vases were produced. Classic hyacinth vase models occur there, but also attractive free-blown vases and mould-blown ones in various designs. The British bulb vase was, without doubt, at its height in the Victorian era. Some of the vases found in Britain were produced in Bohemia for the British market. Many different hyacinth vases from many countries - a part of the collection. The vases produced in Holland, Belgium, Germany and Scandinavia were generally more simple in form, but at the same time show strong designs which makes them very interesting as well. The United States produced many interesting models, too, both classic or more modern in design, depending on age. This diversity in vases combined with their functional resemblance in shape make hyacinth vases popular items to collect. It is estimated that world-wide, several hundred collectors exist. 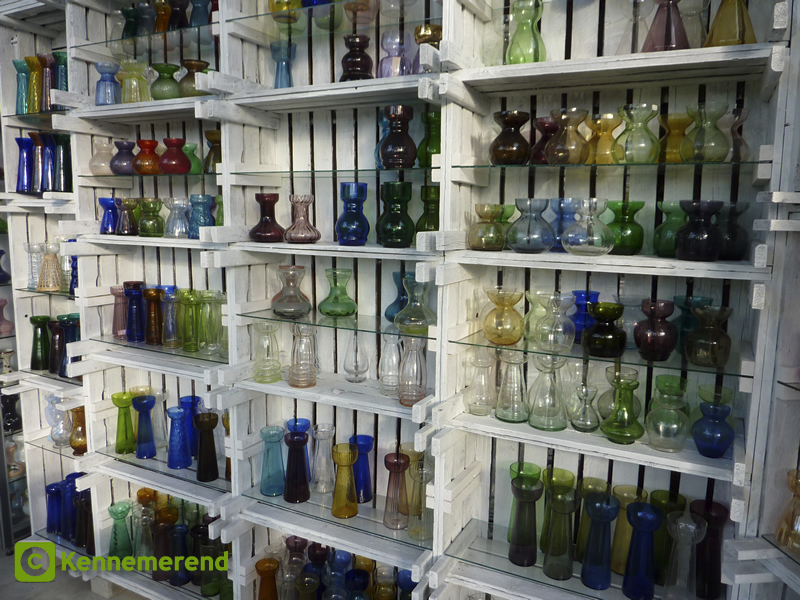 In the Netherlands there is even a bulb-vase collectors' club!